In a blistering op-ed for the Washington Post published Thursday night, the Arizona Republican called on Americans to focus on "shared values" rather than differences. McCain denounced the "repugnant spectacle of white supremacists marching in Charlottesville" and lauded Heather Heyer, the counter protester killed by a white supremacist at the rally. But McCain also railed against partisanship in Congress. "We seem convinced that majorities exist to impose their will with few concessions and that minorities exist to prevent the party in power from doing anything important," McCain wrote of recent congressional deadlock. Central to McCain's diagnosis of paralyzing partisanship seemed to be Trump. 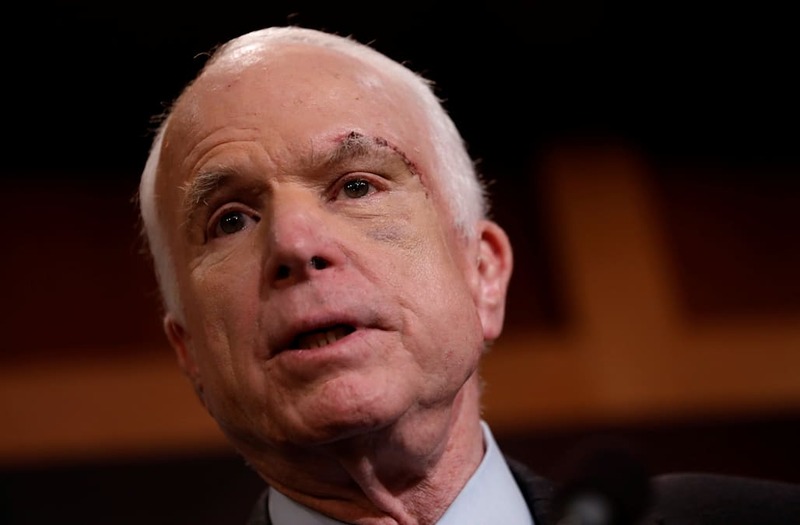 "Congress must govern with a president who has no experience of public office, is often poorly informed and can be impulsive in his speech and conduct," McCain wrote. "We must respect his authority and constitutional responsibilities. We must, where we can, cooperate with him. But we are not his subordinates. We don't answer to him. We answer to the American people. " McCain, who dealt the deathblow to Trump-backed healthcare legislation in the Senate, has ultimately supported much of the president's agenda. The senator, who represents a border state, said a "literal wall" may not be the best solution for border security, but urged Congress to compromise on security-boosting measures. McCain also expressed support for tax reform and spending on infrastructure, key tenants of Trump's platform, while bashing "threats of a government shutdown and continuing resolutions that underfund national security," that have often come from the president's desk.